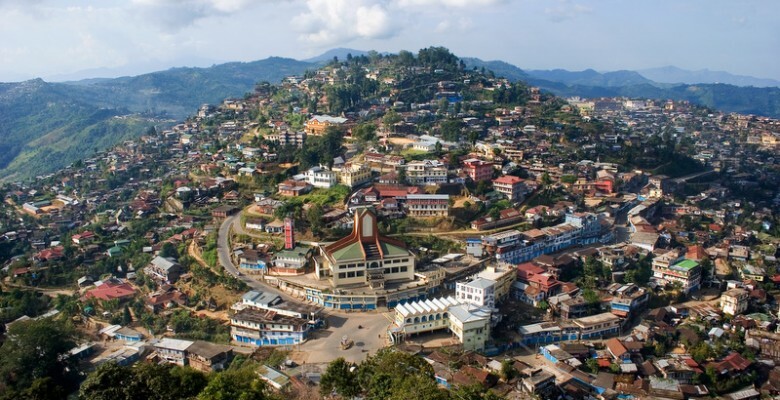 Kohima is the capital of Nagaland. Kohima perched at an altitude of 1444 mts. above sea level. It is a beautiful town presenting wide panoramic views. This pretty town is endearingly unspoiled, tranquil and immersed in history. The little Sylvan town nestles amidst the verdant hills still undefiled by civilization in a quite, subtle way Kohima has its own unique flavour as a hill resort. It is also the Cosmopolitan headquarter of 15 major tribes whose distinguishing teatures and identify in terms of dialects Costumes beliefs etc. is clearly evident to a casual onlooker. 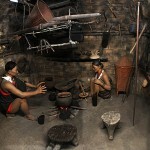 The respective tribal festivals are celebrated at regular intervals in the city that offers a real feast to the eyes. 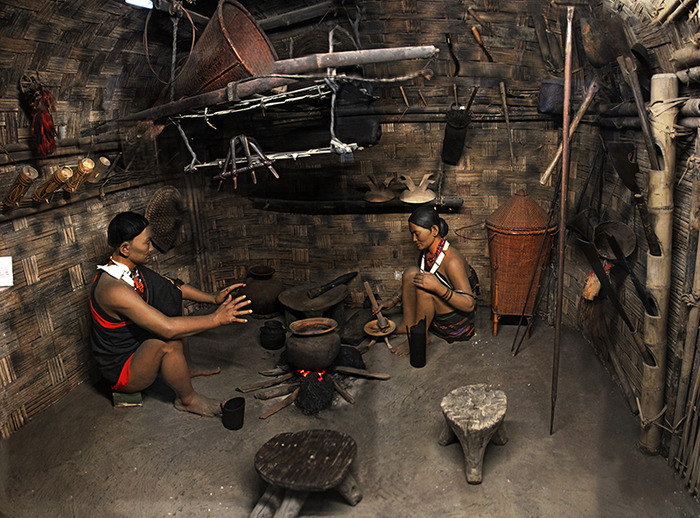 The State Museum showcases in dioramas, some of the most fascinating aspects of Naga Tribal live in all its variety and wealth of traditions. Housed here is ancestral weaponry, carved gateposts, status pillars that record Feasts of Merit and traditional Naga costumes and jewellery. Kohima village is where Kohima began, according to Naga legend. Said to be the second biggest village in Asia, it has one of the finest ceremonial gates, common to all Naga villages. The beautiful carvings of warriors and guns, and the symbol of prosperity, the Mithun, heighten the importance of the Naga gateways. War Cemetery: A symbolic memorial raised as citation for the Supreme Sacrifices made by the officers and and men during the World War II. A bronze plaque with a motive epitaph supports each grave. Museum: The state Museum treasures rare collection of articles of different tribes which steak about the history and tradition of the Nagas. Sales Emporium: Situated in the heart of the town, the emporium sells a variety of Naga Art and Handicraft items. 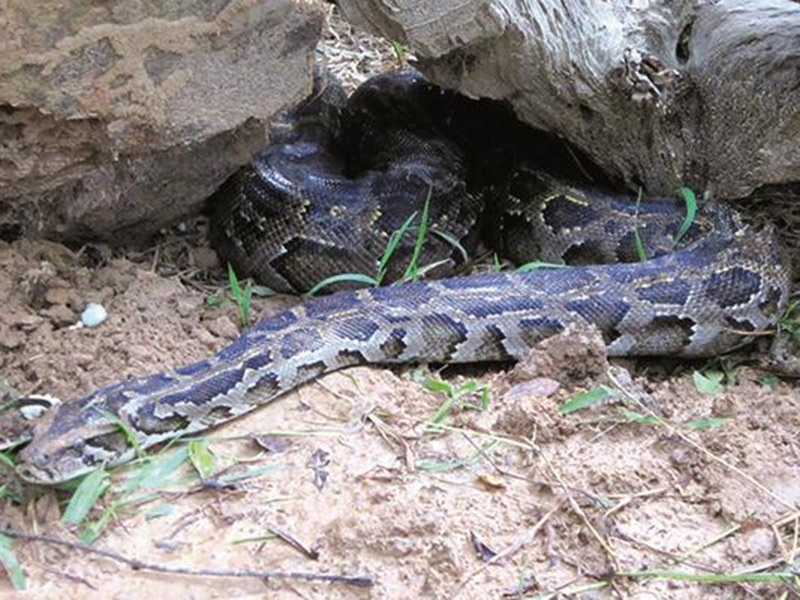 Zoological Park: A glimpse of the fauna of Nagaland is found in the Zoological Park at Kohima. 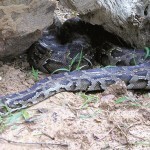 A visitor can see some rare species of animals and birds especially the rare Blythe’s Tragopan. 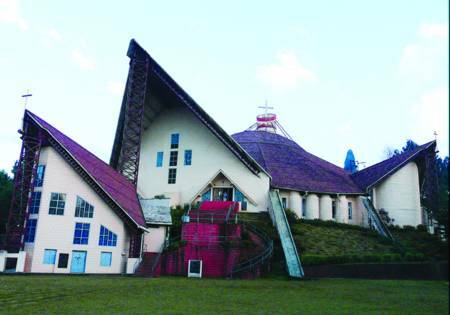 Cathedral: The Catholic Cathedral at Aradura is an important landmark at Kohima. It is one of the biggest cathedral in the whole North – East and has a very congenial atmosphere for praying. 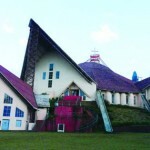 A place world seeing for its blend of indigenous architecture. Japfu Peak: Situated at an altitude of 3048 mts. above sea level, 15 km south of Kohima. 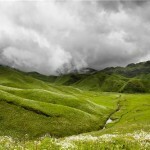 It is the second highest peak in Nagaland. 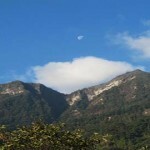 It is ideally suited for trekking and scaling from November to March. From the Peak one can have a panoramic view of the hill below. 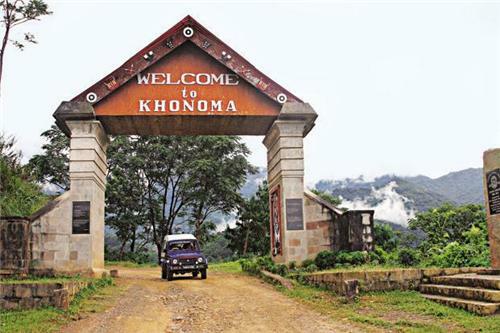 Khonoma Village: 20 Km towards the west of Kohima the village has its own traditions of valour and Courage. The terraced fields on the slopes producer over 20 strains of paddy at different sights. 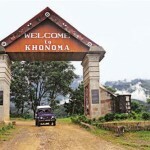 The beautiful Khonoma gate falls the story of the British infiltration into Naga Hills. The village is also noted resources and their conservation. It is also famous for its arts & crafts. 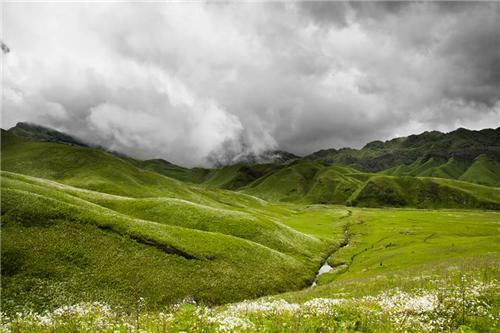 Dzukou Valley: Situated at an altitude of 2438 meters above Sea level, behind the Japfu peak, it is 30 km to the south of Kohima. The gentle rolling hills and undulating valleys of Dzukou provide solace and tranquility to any travellers. The entire valley is overshadowed with a type of tough bamboo brush to make the place appear like a mown lawn. The Serpentine stream that flows through Dzukou becomes frozen during winter. During summer this valley becomes a veritable Garden of Eden with wild herbs and variety of flowers (over hundred species) such as Lillium in white and yellow, Mackliniae catha palustris etc. in full bloom. Rhododendrons in white and other colours ornament the hills surrounding the vale. This is one of the best trekking spots in the north – eastern Region. A base camp for trekker’s is being constructed on the way from Jakhama route. Tseminyu: Home of the Rangmas, Tseminyu is situated at an altitude of 1421 mts. above sea level at a distance of 55 km from Kohima. It is known for Nagda the popular festival which is celebrated in November ever year. Peren: It is situated at an altitude of 1445.36 mts. above sea level 84 km from Dimapur. It is the homeland of the Zeliang and Kuki tribes. The place is famous for Zeliang dance in pair. This entry was posted in Kohima, Nagaland and tagged Cathedral, Japfu Peak, Khonoma, Khonoma village, Kohima Cathedral, kohima map, kohima tourism, map of kohima, Museum, Peren, Sales Emporium, Tseminyu, War Cemetery, Zoological Park. Bookmark the permalink.